Minnesota startup businesses need a website and a budget for online advertising. Having a website is one of the most cost effective forms of advertising. This makes a website a great business tool to invest in. Minnesota startups need to leverage the power of the internet to help grow their business and get the best bang for their buck in advertising expenses. It is critical for new businesses to find the best means of rolling out the business while staying within budget. This can prove to be a difficult task, but one piece should be set aside for the website and advertising budget. A professionally designed website for a Minnesota startup business can help make or break a business. Everyone knows that more and more people are searching online rather than going to a big phone book. This is a great opportunity for business startups to take advantage of the search engines and get in front of customers without paying phone book front page rates. In order to get front page space on the search engines, it is critical that all of the website pieces are in place. If a startup is serious about getting found online, we would recommend going with a professional web design company. Let the pros do their job, so you can focus on your business. After all, the only way your new startup will survive and thrive is if the business model is scalable and people can get tasks done for you. If you conduct some advertising research, you will find that businesses are turning away from the traditional large phone books and pumping more dollars into online advertising. It is hard to blame them too. When you can put your business in front of motivated buyers, what is that worth to your business? Answer: as much as you can afford! Another reason that startup businesses should take a look into online advertising is that they can set their budget as to how much they would like to spend. Minnesota startup businesses should definitely take a look at an online advertising budget. Anyone who has been involved with a startup knows the importance of keeping within a budget and spending their money wisely. In today’s business market, one of the best places to invest is in a website and online advertising. 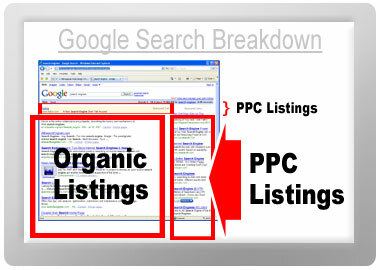 Many companies today are currently using PPC campaigns to bring in jobs from the search engines. It is a great way to immediately get in front of potential customers and see if there is a demand for your product or service. It is also possible to closer track where those visitors came from and make a decision to continue with the campaign or to move dollars to other forms of advertising. Many businesses have already taken the plunge and are grabbing clients that could have been yours. There is a reason that it is almost impossible to pick up any publication and not see some article talking about the search engines and how your business should be in the listings. It is a valuable tool to get in front of prospective buyers and let them know what you can do for them. With a PPC campaign, it is possible to run a campaign with your ad at the top of the search results for a couple of months and see what type of conversions you get through the website. This is a great way to see if it is worth it to get into the top spots in the “organic” search results that appear when an online visitor searches the search engines. It is also possible to switch text in the ad and test different variations to see if one ad has a higher conversion rate. It is these characteristics of a PPC campaign that keep companies coming back to the search engines for sales increases. Tracking sales from a PPC campaign is one of the reasons why so many companies are switching to online advertising with the search engines. It is possible to see what the user clicked on, how long they were viewing your website and the pages they went to on your website. Another great part of a PPC campaign is that if it isn’t working, you can stop after the initial campaign and use those dollars for something else. Tracking all of these factors can give the owner a better understanding of where their website stands in the buying process and what to improve to turn visitors into customers. So, if you have a marketing budget and are willing to give internet marketing a try in the search engine realm, take the plunge and see if your business has what it takes to increase ROI with the help from the search engines.